Inspired by our belief in building strong communities, we founded First Story to help deserving individuals and families in need achieve the dream of home ownership. Learn more about the public non-profit, meet some of the First Story families, and discover the other charitable giving that comes from First Story to help the communities in which Hayden Homes builds. Every time a key is turned in a Hayden Home, our spirit of generosity is sparked to life, igniting a common purpose of building communities and fulfilling lives. As a home builder, Hayden Homes is in a unique position to help families fulfill both a lifelong dream and their most basic need. By offering our time, resources and expertise, we’re able to help provide shelter and housing security to people who might otherwise go homeless. To finance this mission, we donate a portion of the sales price in each of our buyers’ name, on every home we build, to First Story. Due to your decision to purchase a Hayden Home, you are making a difference in the community you live. Our employees are passionate about First Story’s mission. Over 80% of our team members generously contribute to this worthwhile non-profit through a regular payroll deduction. Hayden Homes is proud to provide a 100% company match for every donated dollar. 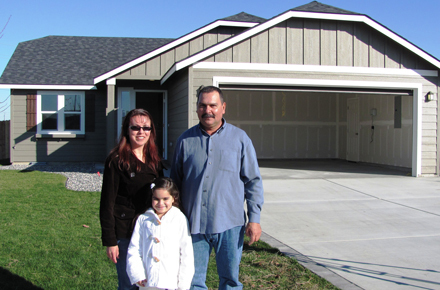 Since it began in 1998, First Story has served over 77 families through new home construction and other home ownership opportunities in Oregon, Washington and Idaho. In addition to its affordable housing efforts, First Story has donated over $1.3 million to support other non-profits doing the essential work of building great communities. Together with your neighbors, you are directly helping to support this incredible cause. Karisa grew up in Southern Oregon and is a single-mom of a spunky daughter. Karisa works very hard as a medical assistant to provide financially for her family, but due to rising rent costs she was forced to move a dozen times. Her First Story home is finally a chance to secure stability for her daughter. We are thrilled for Karisa and her daughter to begin this new journey in their lives. 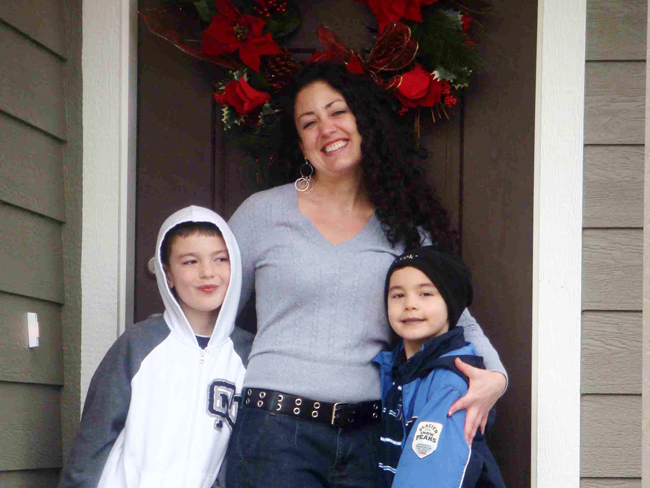 Shelly is a busy single-mom of two teenagers and a postal worker in the Inland NW. In 2012, she removed her kids from an abusive household with an alcoholic husband and started over. Her First Story home is a testament to her hard work and confirmation that her family is on solid ground. 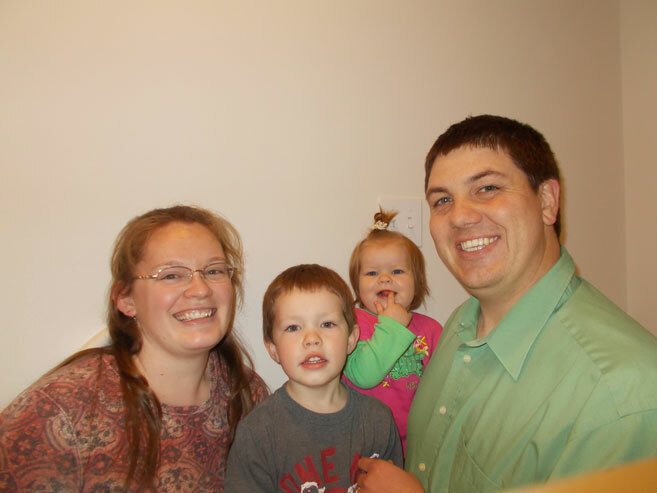 We are excited to welcome Shelly and her family to their new home! Nalani was born with a spinal condition which makes it difficult for her to walk and to stand on her own, but you wouldn’t know it by talking with her. This incredibly positive single-mom of two boys never stops smiling. She works tirelessly to give her boys the opportunities she never had. Her youngest son has functioning autism, so Nalani’s new First Story home means he can finally have a therapy dog! Lisa spent most of her childhood homeless traveling around with her Mom splitting time between couches and shelters. A single-mom of a teenage girl she was determined to provide a different life for her daughter. Lisa’s hard work paid off and in 2018 she moved into her First Story home. We want to welcome Lisa to her new home! Gilberto is an impressive young man. His parents moved him and his three siblings from Mexico to Idaho to give them a chance at an education and a better life. Gilberto learned English, an engineering degree and became a U.S. Citizen. 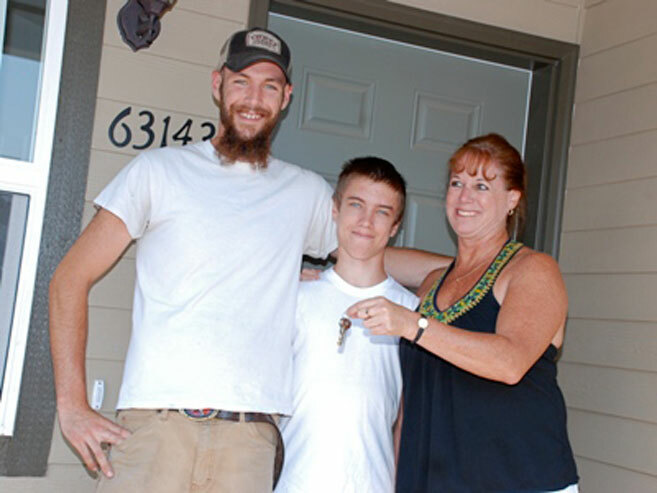 He moved out of his parent’s home where he shared a bedroom with his brothers and into his First Story home in 2018. Meet Rachel and Colten, newly enganged. Rachel was born and raised in Richland, WA. She is a 3rd grade teacher at a Title 1 school in Kennewick. She always wanted to be an elementary school teacher and is passionate about being in a classroom with a high percentage of low-income students. Colton is just finishing 5 years in the Canadian army and is moving to Richland to marry Rachel and start their family. Chari and her 15-year old son Legend have been through a lot. Legend’s father was physically and mentally abusive and left both emotionally scarred and scared. Out of concern for her autistic son, Chari reached out to the Linn-Benton Housing Authority to get the help she needed to provide a better life for Legend. Eight years later she is debt-free, has earned a degree, has a good job and is in a healthy long-term relationship with Bryan who she shares a daughter with. 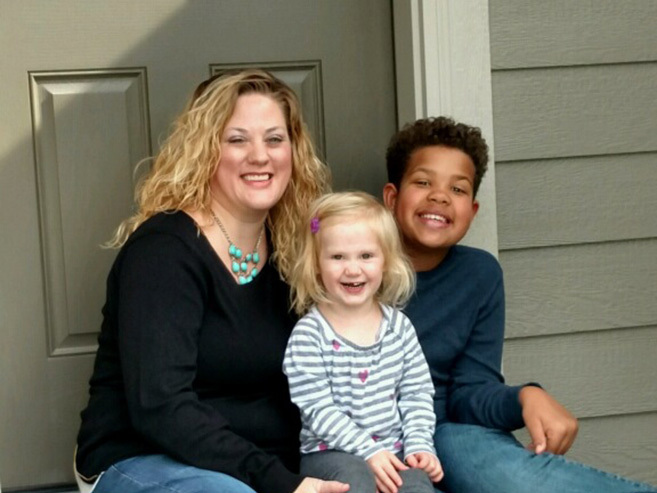 Jillian is a Freelance Writer, proud mother of 2 high energy toddlers and a graduate of NeighborWorks Homeowner-ship Program for Financial Fitness and Coaching. She faced enormous tragedy at a young age and dealt with emotional abuse most of her adult life. After being abandoned with a son to raise, Jillian made the decision to go back to school, earn a degree and provide for her young family. She landed a great job at NeighborWorks and quickly realized that with some hard-work and discipline she too could be a home owner one day. Yancy’s co-workers describe her as hard working, independent and frugal. Two years ago she decided to make homeownership a goal so she enrolled in NeighborImpact’s Financial Fitness/Homeownership Readines Program. Later this year she will graduate and celebrate the completion of their Dreamsaver Match Program which helps individuals save for homeownership. As a single-woman Yancy has had difficulty finding outside support, so she knew it was up to her to build a stable financial foundation to grow from. Yancy manages Heart of Oregon’s Summer Program which engages 75 at-risk youth in educational and life skills courses. She loves to garden and spend time with her nieces and nephews who live in Redmond. 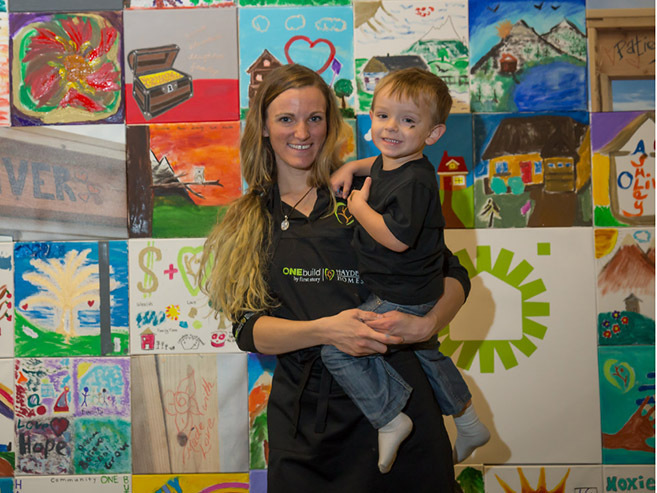 Meet Casey and her son, Thunder, who have been selected for the First Story home in Springfield, Oregon. 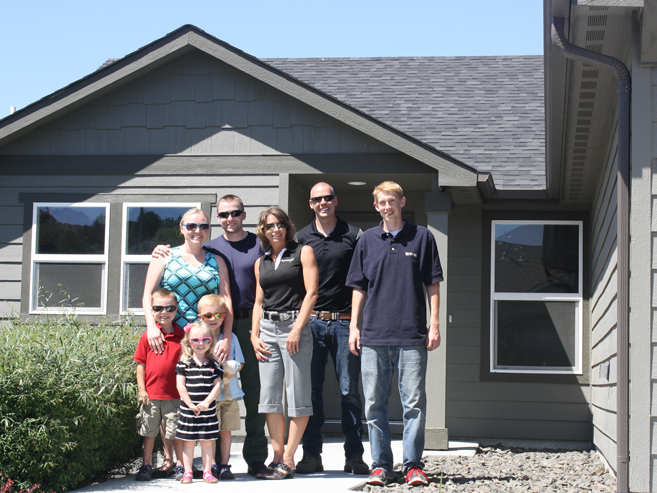 This 2016 home recipient was referred to First Story’s Home Buyer Program by the Housing & Community Services Agency (HACSA) of Lane County. First Story & HACSA have worked together to help lower-income families in need find affordable housing. In her past, this young, single-mom was making decisions she now regrets. Once she realized the destructive path she was on was hurting her son, she focused all of her efforts on building a future for him. She successfully completed HACSA’s Family Self- Sufficiency Program and has been working hard for the past 5 years to build a better life for her son. She can’t wait to actually have a home to call their own. A home to plant roots…literally! This inaugural First Story ONEbuild recipient is a single mom to a two-year old boy, a massage therapist & licensed midwife. She and her son currently live in Redmond with Ashuly’s parents, sharing a single bedroom- and bed! She chose this living situation so she could save enough money to eventually put a down payment on a home of her own. She enrolled in Neighborhood Impact’s Housing Program and started an IDA matching savings account and completed a series of classes designed to prepare her for home ownership. She is so excited about, not just the home, but being a part of the entire ONEbuild experience! 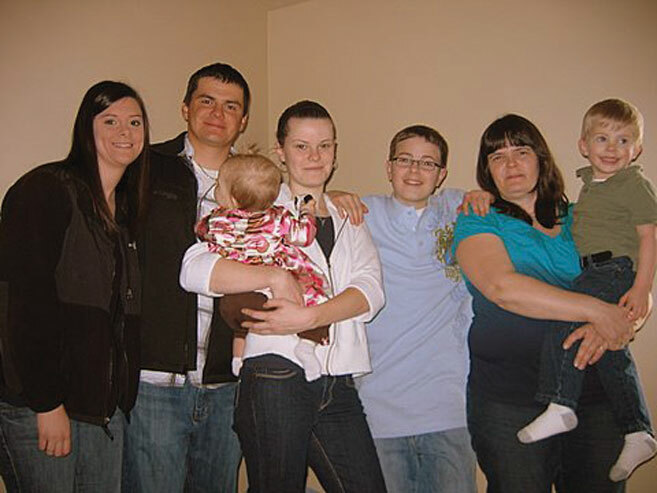 Melissa was diagnosed with Paranoid Schizophrenia shortly after graduating high school. She delayed going to college for treatment and in that time met Dave who would support & inspire her and later ask her to marry him. After 13 years of drug laded treatments she became pregnant with their first child and decided to take her health in to her own hands. Instead of drugs, she turned nutrition and a healthy life style void of things poisoning her body. She is now healed of a disorder that she was told she would never escape. She also finished her college degree, went on to complete a Master’s of Philosophy, had her second child and celebrated her 10th wedding anniversary in 2015. Cathi’s contagious energy and captivating smile is evident the minute you meet her. This single-working mother of two and recent college graduate has worked very hard and overcome a lot of adversity in her life to provide a safe and loving environment for her family. Sherry and her three children are survivors. Sherry spent years struggling to find a safe and loving community for her son’s Elijah & Asher and her daughter Mayah. 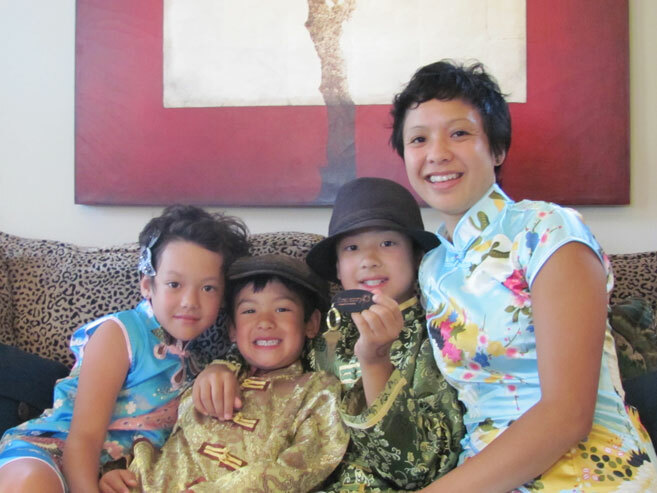 “Owning our own home has been a mere fantasy,” Sherry wrote in her home ownership application. 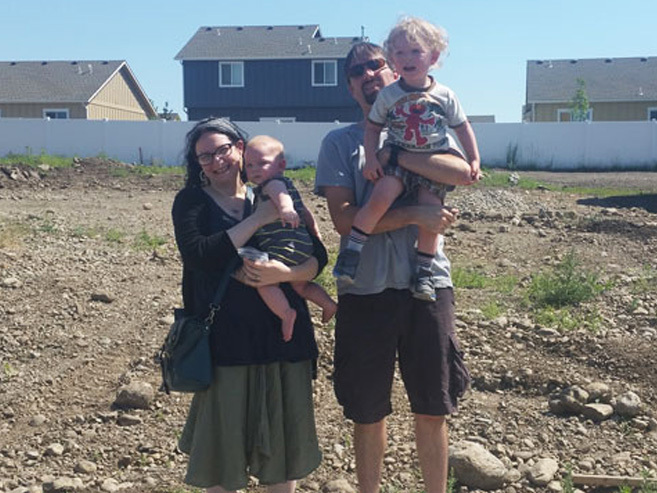 “Bend has been a blessing to my kids and me and First Story will allow us to live here forever.” They moved in to their home in Shady Pines in 2012. Sherry is a small business owner of Mindful Healing. In addition to being skilled in holistic soft tissue techniques and treatments, she is a Positive Life Coach with a passion to provide self-empowerment to help young women balance home, school and private life. Maria and Ignacio emigrated to the United States in 1989 in search of the American Dream. They made the Tri-Cities their home, started a family and began working at Broetje Orchards. They have worked as packers at the Orchards for over 20 years putting their two eldest sons through college. Their daughter Alyah plans to follow in her older brothers’ footsteps and eventually work for the U.S. Forest Service. Erin was born and raised in Bend. 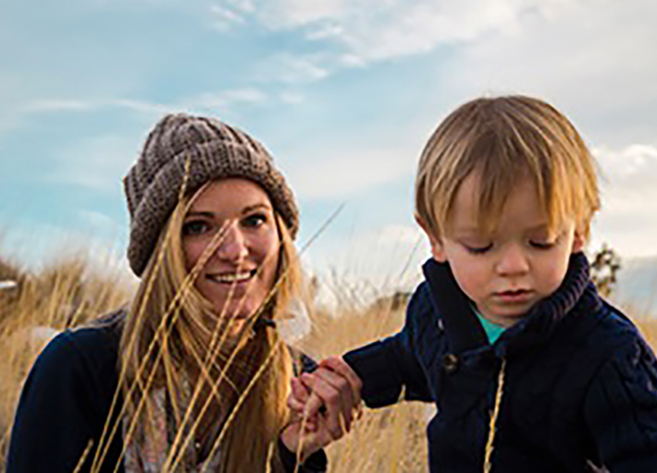 After leaving an abusive marriage, she decided to move back and raise her kids in Central Oregon. First Story met the single-mom through the Sparrow Club. Sparrow Club was assisting the family with medical costs associated with the treatment of Ben’s Neurofibromatosis. Neurofibromatosis is a genetically-inherited disease in which nerve tissue grows tumors; in Ben’s case he has tumors encompassing his abdominal area and spinal cord causing extensive pain and damage. Both sons have graduated from Mt. View High School and are pursuing careers locally. Erin’s parents and brother also live in Central Oregon. In 2010, Kenny and Jolene made the tough financial decision when they had their first child Jeremiah; that she would do the important job of stay at home Mom. Kenny had just earned his Master’s Degree in Teaching, but had not secured a full-time teaching position. It was a very difficult couple of years struggling to make ends meet, but they felt it was important to sacrifice material things in order for Jolene to raise their son. In 2012, Kenny secured a teaching position in the Columbia School District and they began to dream of one day owning a home. But, with school loans and one income, it was a dream that seemed would never come true. Annett has an inspiring story of hope and healing. Eight years ago she went from homelessness and hopelessness to becoming a homeowner and starting her own organization, Hope Heals, with a mission of spreading hope, love, and kindness to those in need. 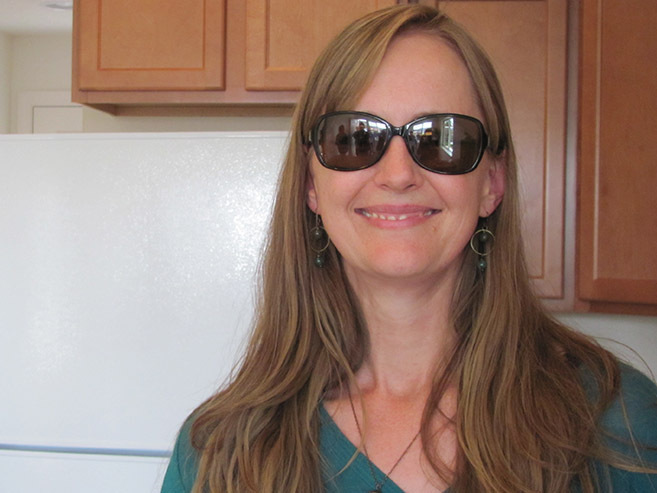 Annett moved into her First Story home in Prospect Terrace in Walla Walla in 2009. 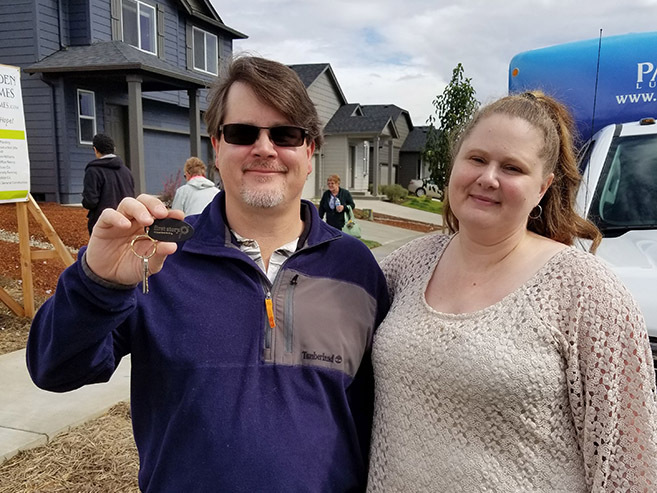 She and her son Dylan drove to the dedication ceremony in the RV and literally traded the keys to the RV for her new Hayden Home. Click here for a story written about Annett, and click here for more about Hope Heals. Desiree is proud of her tight-knit and affectionate family. As a single-mom working full-time and raising two boys, her family worked together to help each other and share responsibilities. Family was at the heart of every decision Desiree made. She dreamed of owning a home for the stability and safety it would provide, but she was afraid she would never afford one on her single income. So, when she learned about First Story she jumped on the opportunity and applied for a home in Veneta, where the boys’ grandparents also live. It is Hayden Homes goal to build a First Story home annually in each of the regions we build. If you know of an individual or family that is currently below 80% of the median household income and is in need of a hand-up due to the increase in rental rates, they are likely to be eligible to apply for an upcoming First Story home. To Apply: Download the attached application form the First Story Website. For more information about upcoming First Story homes and locations contact First Story at 541-728-0830 ext. 6 or email info@firststory.org. First Story is a 501(c)(3) non-profit organization founded to promote giving and inspire communities through the creation of home ownership opportunities and financial support. First Story and its building partner, Hayden Homes, are working together to give to local communities. 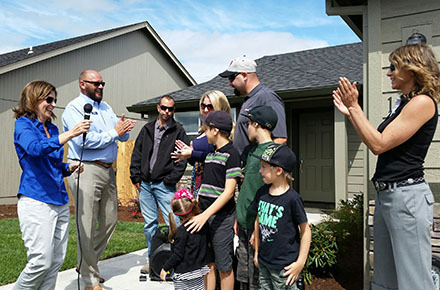 Since 1998, the gift of home ownership has been provided to 77 deserving families and an additional $1.3 million in charitable giving has been donated to charitable organizations to enrich Northwest communities where Hayden Homes builds. First Story’s ONEbuild Program was created to help givers give. First Story allows organizations the opportunity to connect with each other and embrace giving while making a difference for a family in need and help build them a home. Through unique, hands-on, fun and first-class team building activities organizations can be part of an experience that will change, not only a family’s life, but their own lives for years to come. First Story partners with organizations that care, that share the spirit of giving and that are looking for a way to formalize their giving. ONEbuild will touch and inspire your entire family, not just today, but for years to come. Learn more about ONEbuild Online at First Story. Through a series of group projects that ranged from raising walls to painting them, with supportive supervision from a seasoned team of contractors, Hayden Homes was the first ever ONEbuild team. 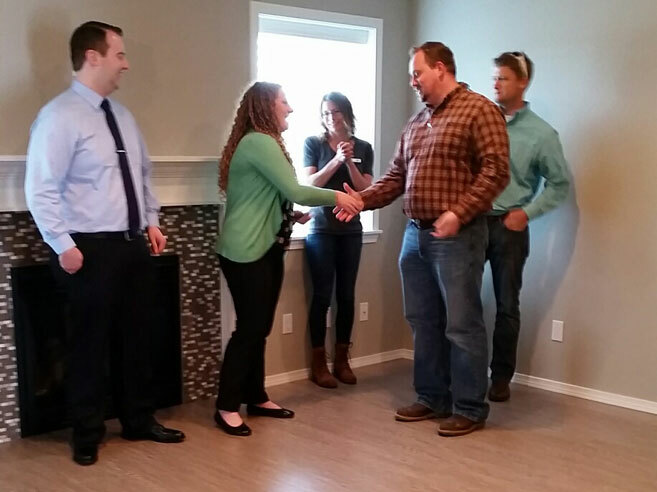 The Hayden Homes team participated in the actual building of Ashuly’s First Story home. 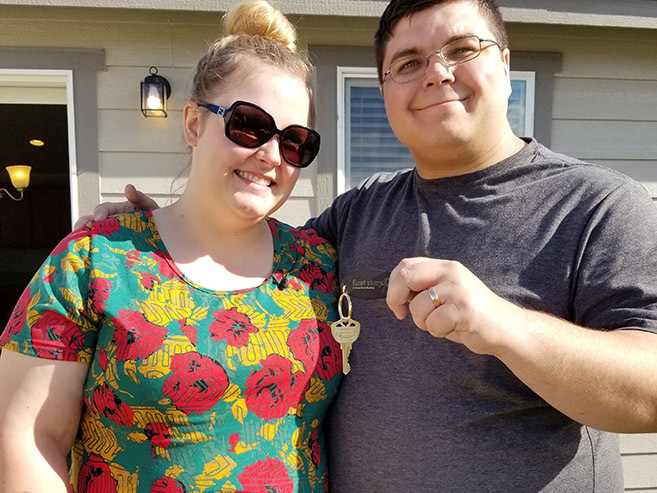 In 2015, Ashuly and Oliver were given the keys to their new home, a 3 bedrooms, 2 baths, with ample space to play outside. Throughout the application and building process, which generally averages around four months, Ashuly remained committed to preparing herself for home ownership by working hard to fortify her savings and completing a series of classes through Neighbor Impact on the subject. “Our home was not only built with hands of hard work, but it was built with a lot of heart,” said Ashuly about her ONEbuild experience.